Autolyzed yeast is a flavor-enhancing ingredient used in processed foods. Autolyzed yeast is a form of processed yeast where salt is added directly to live yeast. The conglomerated yeast cells subsequently die and break free from one another enabling yeast-derived digestive enzymes to break apart the large proteins into amino acids and peptides. The process results in inactive yeast with differentiating protein concentrations. Commercially, autolyzed yeast is produced when sodium chloride is added into a suspension of yeast yielding a hypertonic solution which promotes autolysis. In fact, the yeast dies almost instantaneously upon salt addition, catalyzing autolysis. Autolysis is the act of self-digestion of the yeast cells by the cells’ own enzymes. Consequently, autolysis triggers the self-destruction of yeast, which is then heated topically to finalize breakdown. From this point, the cell walls are weak enough to be removed resulting in the final product of the inactive, varying protein content, autolyzed yeast. 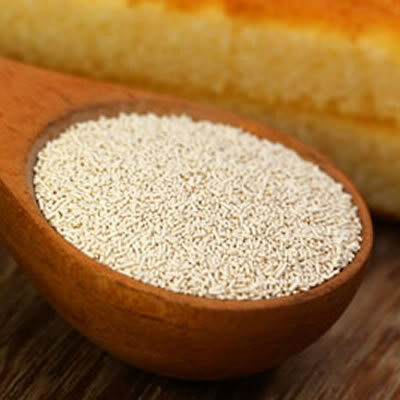 All over the world, autolyzed yeast is primarily utilized because it imparts a highly unique flavor to products, unlike any other applicable yeast. Australia, The United Kingdom, South Africa, New Zealand, Ireland, Switzerland, and Germany use autolyzed yeast in spreads and other toppings for baked goods such as crackers, cakes, cookies, breads, flat breads, and biscuits. Autolyzed yeast plays a role in processed food production across the globe as well. In the United States, the highly undesirable additive associated with a red flag in the health industry monosodium glutamate, or MSG, is derived from autolyzed yeast. Both MSG and autolyzed yeast are used for flavor enhancement in processed foods and Asian cuisine prepared in restaurants. The high-protein content of autolyzed yeast makes its addition into meat dishes ideal, because a greater savory, complimentary flavor is the result, stimulating taste buds and having an addicting affect on consumers. Vegetarian dishes or faux meat varieties also utilize autolyzed yeast to give the same meaty, savory, desirable flavor without any actual meat content.